The programme aims to improve understanding of how non-communicable and infectious disease epidemics are intersecting in South Africa. 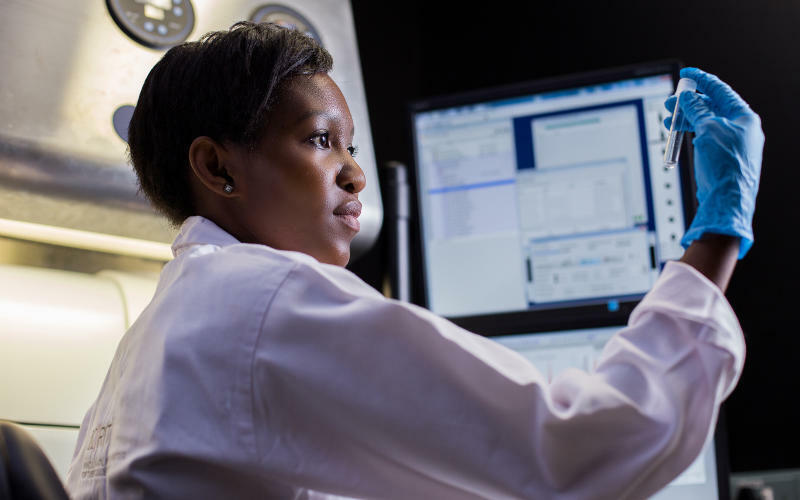 The Africa Health Research Institute (AHRI) have launched an innovative new programme bringing cutting-edge health screening and scientific research to an area of northern KwaZulu-Natal with one of the highest HIV and tuberculosis prevalence rates in South Africa. The new research programme, ‘Vukuzazi’, which means ‘wake up and know yourself’ in isiZulu, builds upon and enhances AHRI’s long-standing and pivotal demographic surveillance programme. Vukuzazi will enable AHRI to develop a novel and integrated set of data and biosamples that will be used to gain insight into fundamental interactions between HIV, tuberculosis, environmental exposures and non-communicable diseases. Residents living in AHRI’s health and demographic surveillance system site in uMkhanyakude District are being invited to participate in a comprehensive health screening at a Vukuzazi mobile camp. The camp has been set up to screen for diabetes, high blood pressure, nutritional status (obesity and malnutrition), tobacco and alcohol use as well as HIV and tuberculosis. The clinical information gathered will be layered on to AHRI’s existing longitudinal population and clinical data from its demographic surveillance programme. Through a sophisticated data system, AHRI’s clinical team will examine this information in real-time, linking it together to make referrals into the public health system for people as needed. AHRI aims to reach 30,000 participants over the course of 18 months.